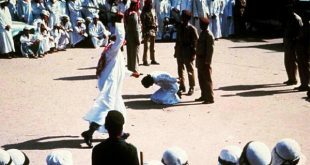 RIYADH: Saudi Arabia on Tuesday executed six Yemeni men convicted of murder and robbery and a Saudi man for smuggling drugs, the interior ministry said. The Yemenis were convicted of forming a gang that killed two men and a woman in three separate attacks on homes in the southern province of Assir, it said in a statement cited by the SPA news agency. In each attack, they also stole cash and other items, the statement added.